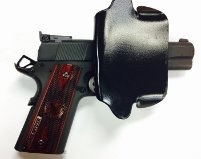 The Comp-Tac Paddle Holster is an all-Kydex outside the waistband holster that may be worn for competition, general use or concealed carry. 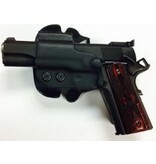 The paddle is designed to be worn at 3:00 for the right handed shooter. 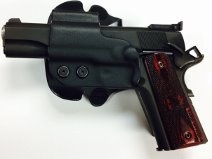 The Kydex body provides a rigid material that is fit to each firearm and maintains its shape even with the pistol un-holstered. 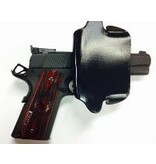 The smooth low friction surface allows for a fast draw and easy one-handed re-holstering of the firearm. The all-Kydex body will not bend or stretch over time and is impervious to sweat and solvents.